I have always held Vienna high in my mind for their pastries. 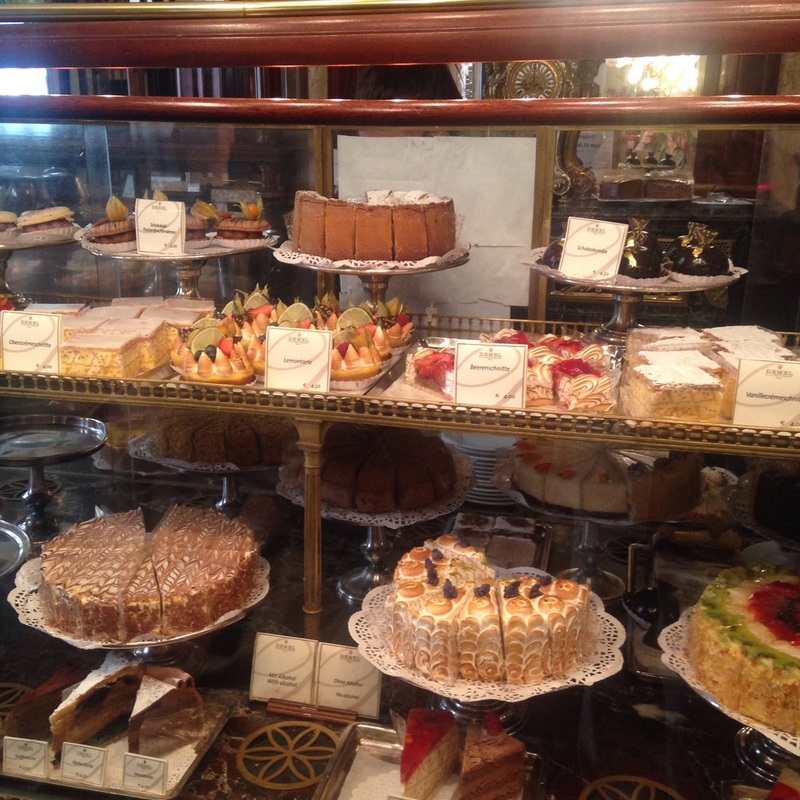 I imagined glass cases in old world cafes filled with over the top pastries, cakes, tarts and cookies. I've studied bake books that support this thinking. 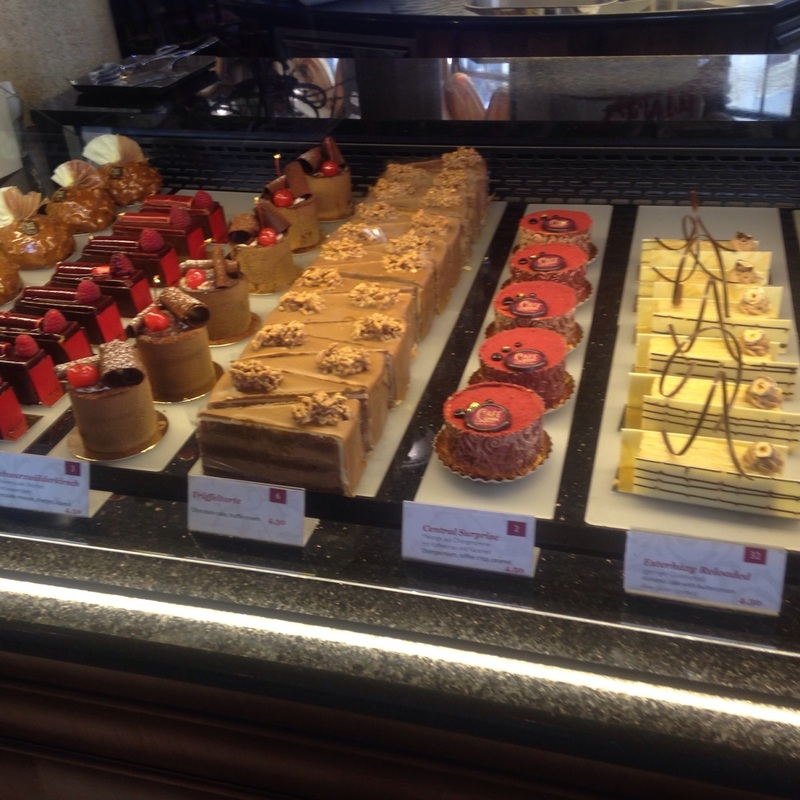 So my primary goal for Vienna was to explore the pastry shops and to find inspiration. Not easily done as it turned out. I started with a short list of six shops. I was lucky to have my biking pals with me for my first tasting at Gerstner. The variety at the Gerstner. We tasted three cakes and one pastry. We scored each item based on looks, flavor, freshness and personal taste. The cakes included Dobostorte, Gerstnertorte and the Sachertorte. The Sachertorte has been around for a couple hundred years and placed dead last in our tasting, while the pasty placed first. Perhaps an unfair comparison but the tortes should have had no problem beating out a lowly pastry! The cakes were either dry, lacking in flavor or over chocolated. Great fun was had by all judges. I then walked all over Vienna searching out a good sampling of the top 10 pastry shops. Demel was listed as best in Trip Advisor and other websites and magazines. I found their case of cakes tired and uninspired; just the basic tried and true with no stretching of flavor combinations or artistic over the top decorating. Definitely not s leader in the trade. Then came Oberlaa, another favorite. Their cakes only filled two thirds of a case. The other case and a third were filled with equal parts, candies and macaroons. Too small of a selection to be top tier, plus their selection was too 'plain vanilla'. 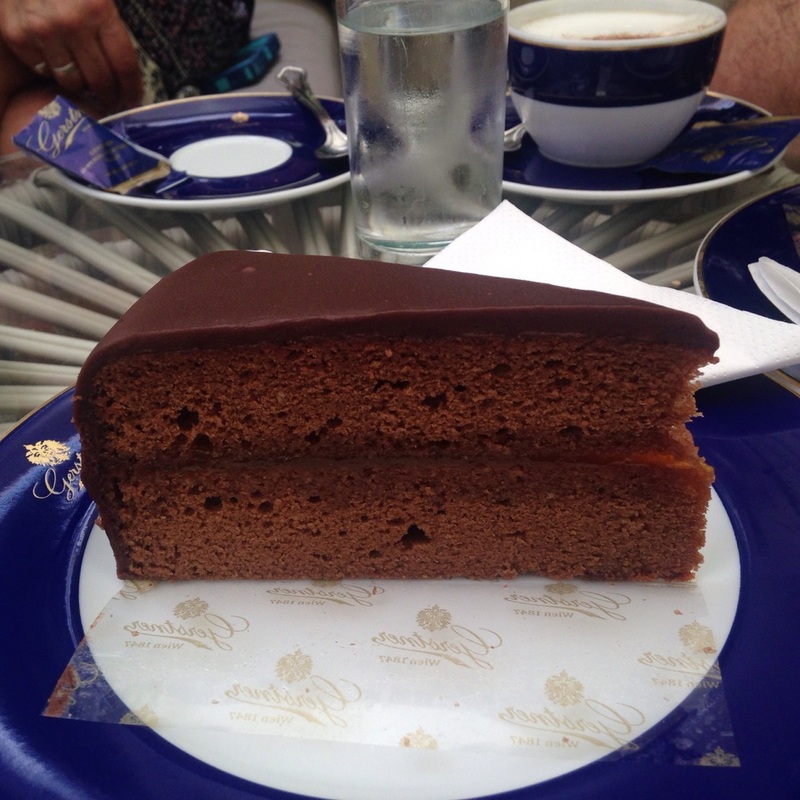 I also reviewed the selection at Cafe Diglas, Cafe Sacher, Aida and the Cafe Mozart. None of them were picture worthy. My top choice was Cafe Central which has been around for years but somehow fell off the top 10 list. They showed great depth in their product line, wonderful freshness on the look of their pastries and cakes and fantastic attention to detail in the finishing of the treats. They make unusual items not seen in the other shops and cafes. By far the winner in my pastry expedition in Vienna. Bottom line, I was hugely disappointed in the Vienna pastry scene. This disappointment isn't so much a slam on Vienna but a call out to the pastry scene in the SF Bay Area. We got it going and one doesn't have to travel so far to find some of the best pastries in the world!